Loren Cove is Viera’s newest multi-family home community in a thriving area. Enjoy the convenience of easy access to shopping, restaurants, entertainment, and schools. If location is an important factor in your lifestyle, you’ve come to the right place. 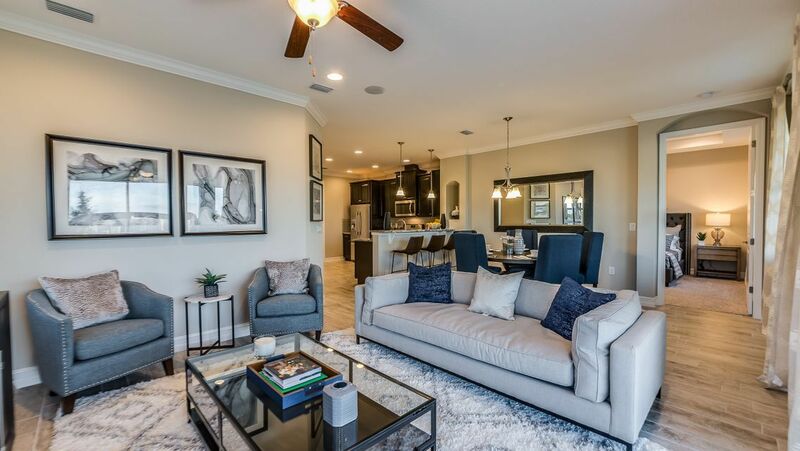 Loren Cove offers beautiful 3 bedroom duplex and 4-home multiplex options featuring stainless steel appliances, luxurious finishes and spacious floor plans ranging from 1,484 – 1,700 square feet. Maintenance of home landscaping and exterior painting are included! From the moment you arrive you’ll feel like you’re coming home. Amenities include a furnished clubhouse with kitchen, gathering room, exercise room, playground, tot lot, pavilion and trail.